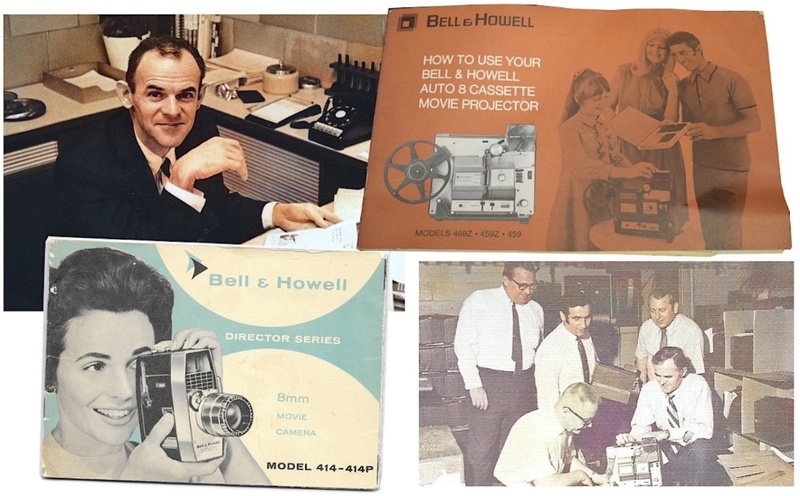 Gordon Bradt founded Kinetico Studios in 1972 after his first career in industry where he was Vice President of Engineering and Product Management for Bell and Howell Company’s motion picture camera and projector consumer photo products, and then President of their Audio Visual Products Group. This experience with precision movie camera mechanisms is evident in his work. Here Gordon Bradt is pictured with his limited edition 6 foot Grandfather Clock, based on his Seven Man Pedestal Clock. 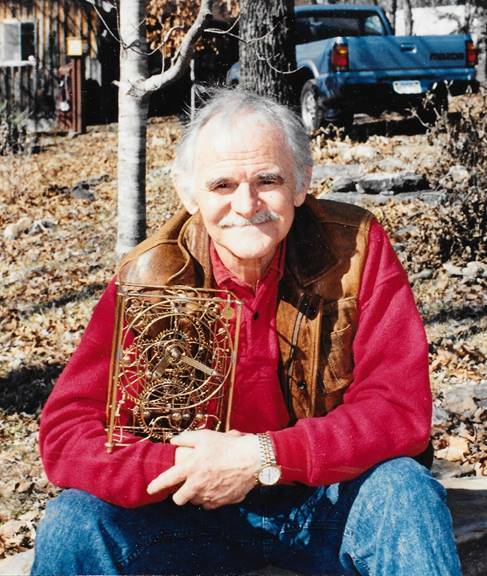 An inventor by nature, Bradt has also been awarded over 2 dozen U.S. patents in such diverse fields as auto loading tape recorders, electric vehicles, musical instruments, film cartridges, and his kinetic art mechanisms. Above is his patent drawing of The Six Man Clock. Read about his life and his patents on the Patents page. Bradt’s first commercially successful series were his motorized kinetic Sports Figures. Also very popular were limited editions like the Water Clock, the Yes Man, and the Clock Junior, pictured below.